 On this site you will find news and information regarding the Northeast Region of ARMA. If you are not a member of our association, we extend a hand of professional fellowship and invite you to visit on the monthly chapter events happening in our region. Come and experience the benefits of ARMA participation! The Region is administered by our Region Director, Chris Bednar. Chris is assisted by three Advisors, Kathleen Timothy, focusing on Membership and Marketing, Karen Harvey advising on Education and Programming, and tbd for Chapter Operations. Kathleen and Karen, along with the Region Director, provide support and communications between ARMA and the Region’s 6 chapters consisting of over 1,000 members who are primarily Information Governance professionals. They are: Boston, Central New York (includes Syracuse and Albany), Connecticut, Long Island, Metropolitan New York City, and New Jersey. Financial responsibilities are administered by the Region Treasurer, Kathleen Timothy. The Northeast Region offers financial assistance and grants to chapters for educational projects and long-term records and information management projects. A Grant Committee is responsible for reviewing and approving/disapproving region grant submissions. We hold annual leadership conferences with our Mid Atlantic neighbor. We are pleased to announce that the 2018 Region Leadership Conference will be held in Princeton, NJ, June 15-16, 2018.